…for awhile Milo has been having some issues. Nothing that major, just sometimes he won’t start. 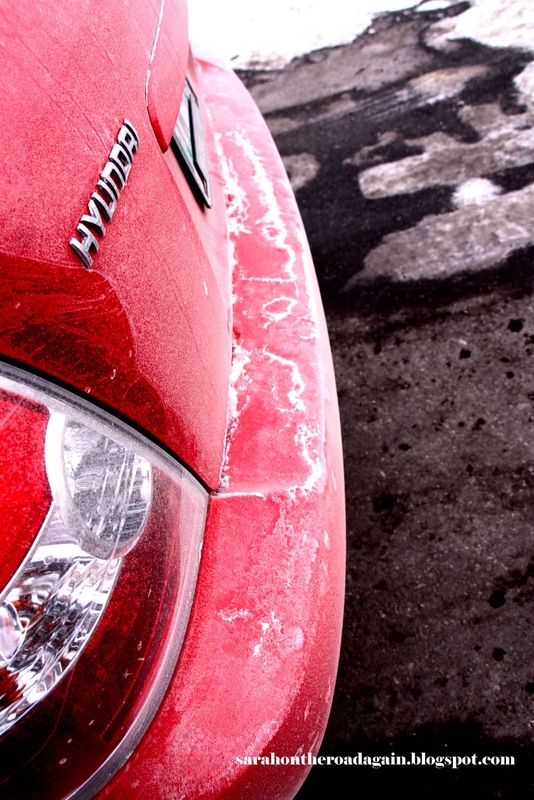 It started mid-summer…I took him to a garage in Lindsay. They checked out everything and told me he was fine. And most days he was ok… he’d start ok… but then others he’d make noise but not not the final switch to start. 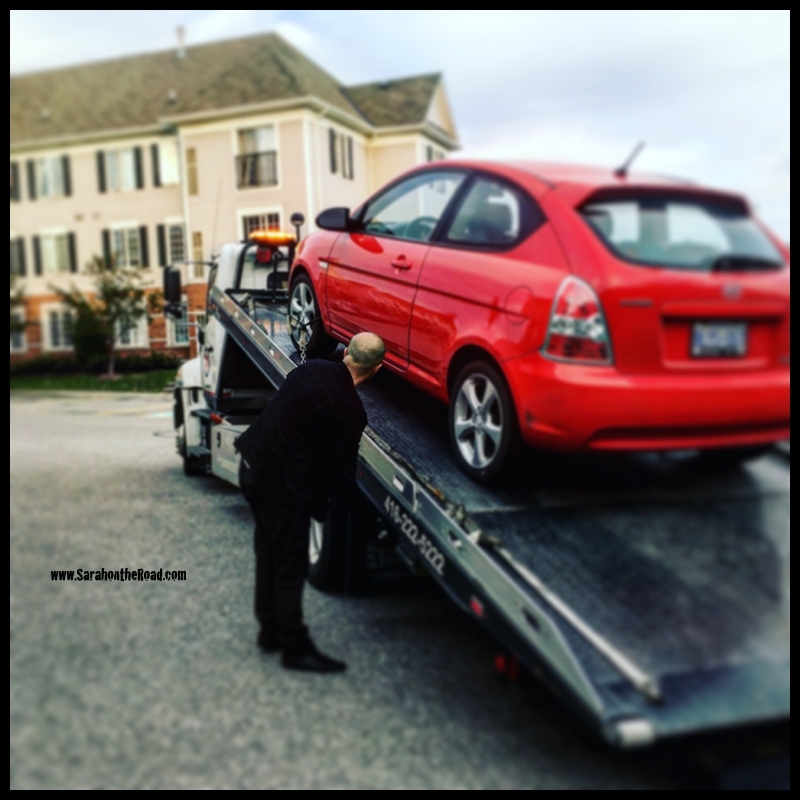 Last Monday I had him checked out a garage here in Brampton… they gave him an oil change and again…everything checked out a-OK. Even though all last week he continued not to start…and started to stop making attempt noises—just the lights would come on. But usually after a few tries he’d turn over. 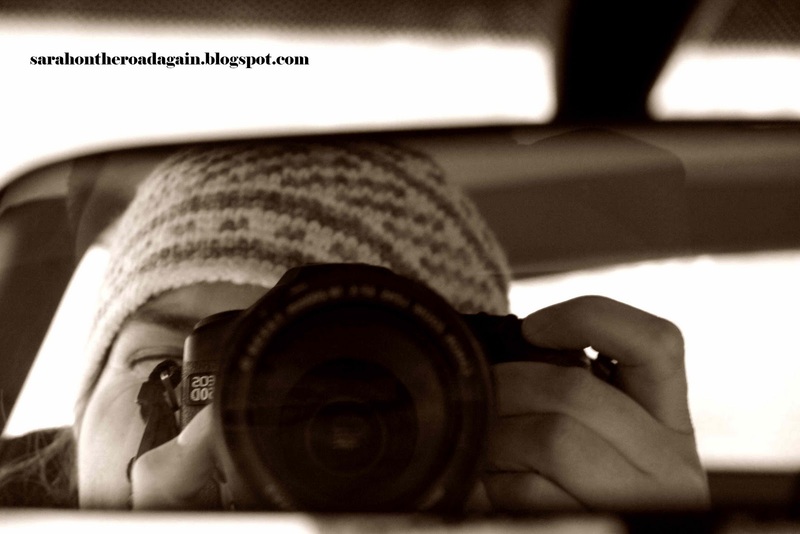 Until then… glad this is the week my mum is visiting so I can use her car! 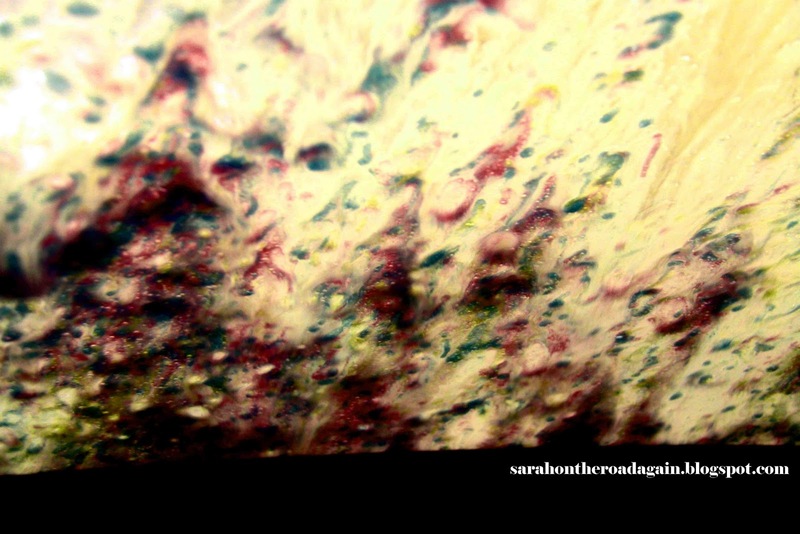 This entry was posted in Random, Rants & Reflections, Tales from the Spin Cycle, Whirl-Wind Weekends on October 2, 2016 by Sarah on the Road. 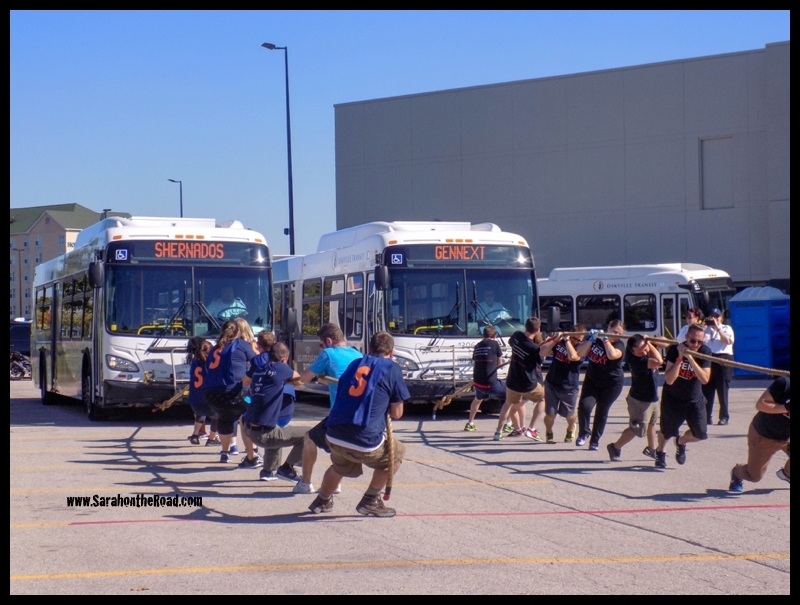 This past Tuesday I joined some awesome colleagues to pull a bus! Now why did I do that you might ask? 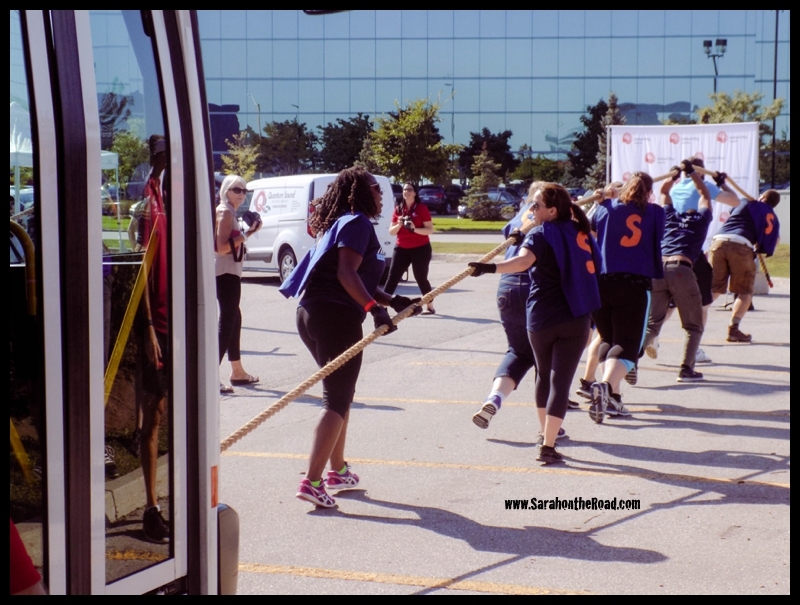 Well it was the 6th Annual Campaign Bus Pull Kick Off Event for United Way Oakville. 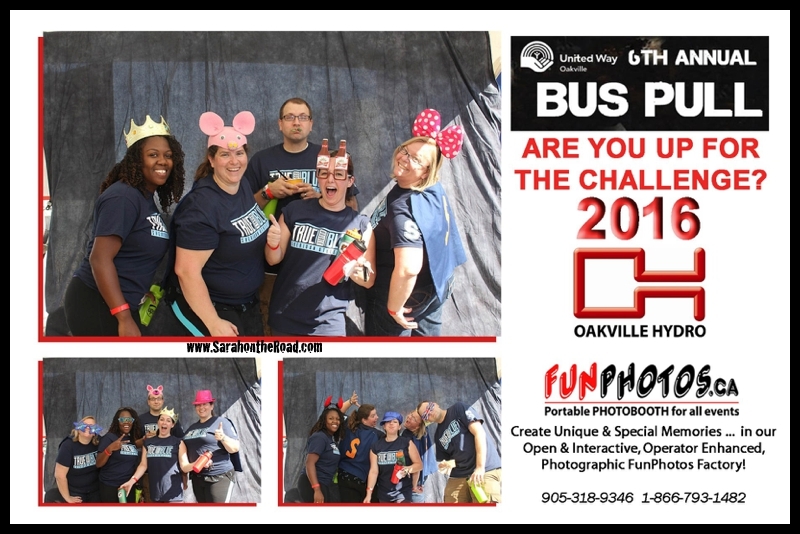 The first one’s easy; you’ve got to team up with seven other people to pull an Oakville Transit bus 20 feet across the finish line. No big deal, right? The second challenge: help put an end to poverty, senior isolation and improve mental health support systems in our community. Create possibility for our neighbourhoods by raising pledges on behalf of your team. Getting the roped connected to the buses… and a quick selfie with a colleague that started at Sheridan with me last year…but we actually met years ago at the summer camp we worked at in our early 20s… it’s been so nice to be able to reconnect with you over the past year. (She was also the one that recruited me to join the team!) From the photo below you can get a feeling of how far we had to pull that bus…. 20 feet from red line to red line! Getting ready to go…our team was called the “Shernados”. (We were thankful for two members from the other Sheridan IT team that joined our team to help us pull the bus—we had two people not show up!) SOmething that was a wee bit surprising to me was that at the beginning the bus didn’t really didn’t move at all–which you’d think it has wheels with 8 people pulling it it should move?! But it didn’t. Our strategy was for us to start in a ‘tug-of-war’ position…and then once it started to roll to turn around–and flip the rope onto our shoulder…and it worked! Our team ended up winning our heat…with a time of 29:47 seconds…that might have been the longest 29 seconds of my life! 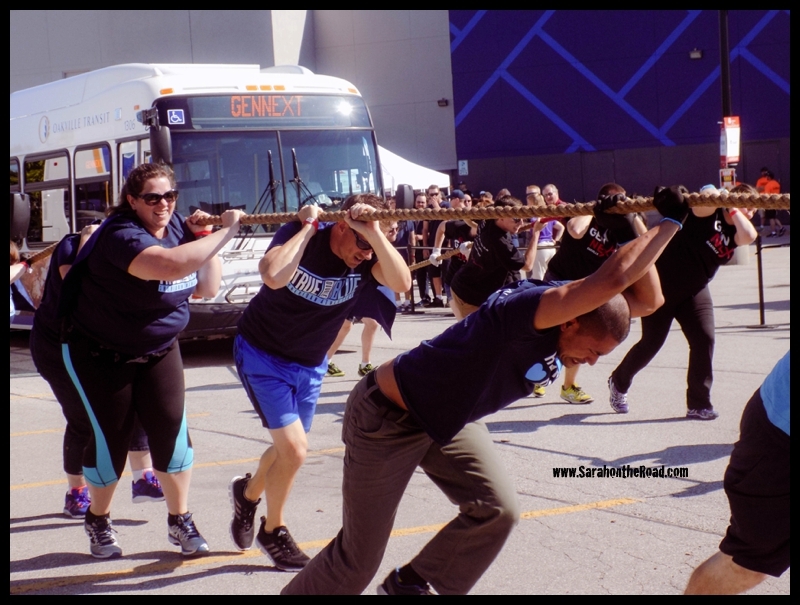 The Oakville PFFA(Professional Fire Fighters Association) and the 2 District Halton Police had the fastest pulls all day! The Oakville PFFA won the first heat…and the 2 District Halton Police won the final heat with a time of 21.8 seconds! United Way Oakville unveiled their target for this fall’s campaign… $4.5 million! The Bus Pull raised over $30,000 towards the larger goal! What a fabulous morning…so glad I decided to join the team…can’t wait for next year! 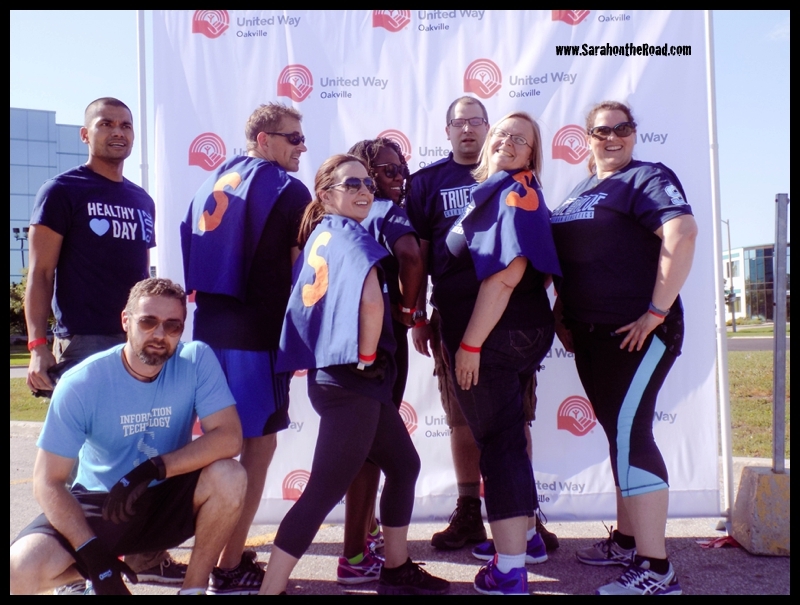 This entry was posted in Life in Ontario, Tales from the Spin Cycle on September 24, 2016 by Sarah on the Road. 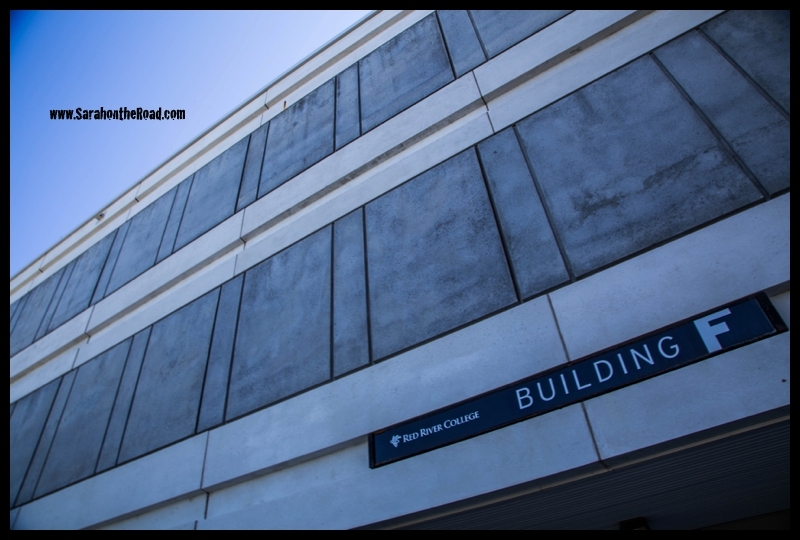 When I was making these plans earlier this spring I didn’t realize what I was doing…. finishing up work, then 2 days later flying out to WInnipeg to be a student for 2 weeks! 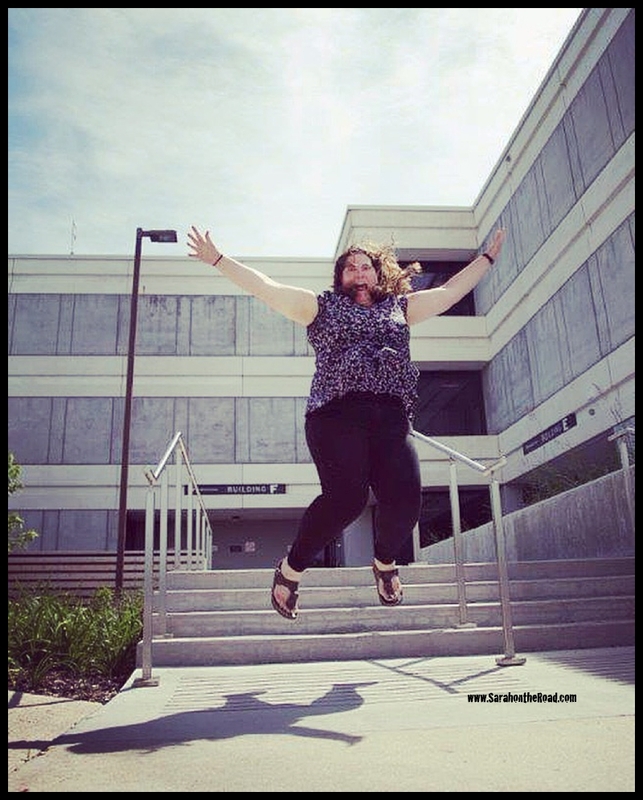 Eek…timing sometimes is crazy, but I did it… and now can JUMP for joy.. because school’s out for the summer and I’m on holidays officially! The last two courses were really fun… I met a lot of really neat people…with various experience teaching and a wide range of areas that they teach! 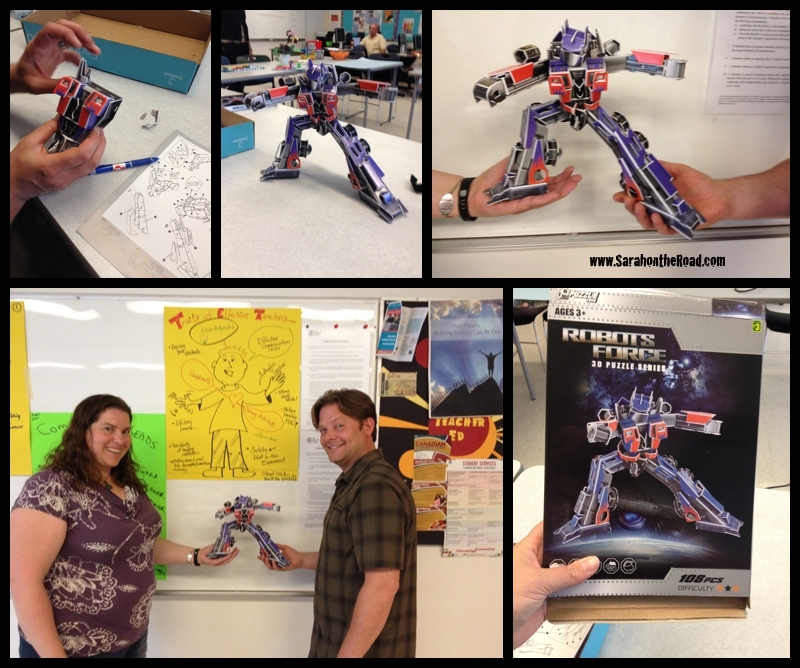 …during our mini-teaching sessions we got to do so many fun things! Like these really awesome mini-cheesecake bites. I learned how to tie a windsor knot… which you never know when that might come in handy! 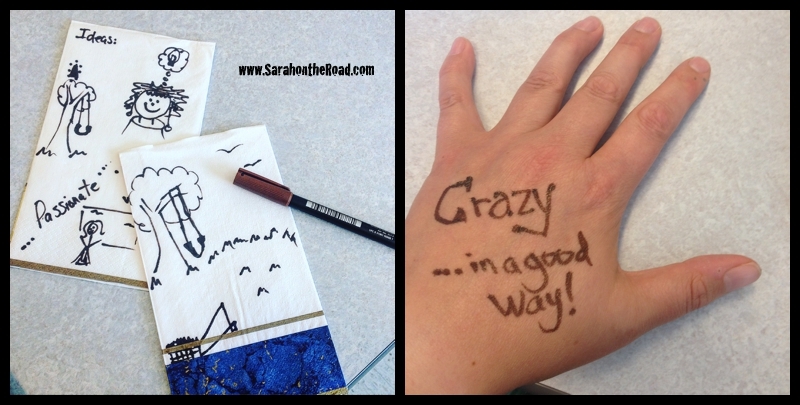 One of the brainstorming ideas we talked about the napkin academy… and was given ‘permission’ to doodle in class!!! Also brainstormed words and ideas of what good educators should have… and then wrote them on our hands! 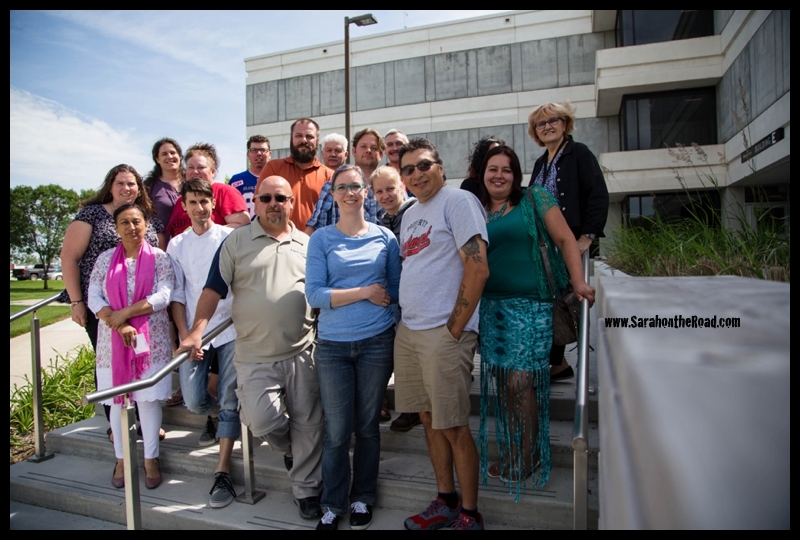 …it’s always fun to have culinary arts instructors in your class on a mini-teach day!!! 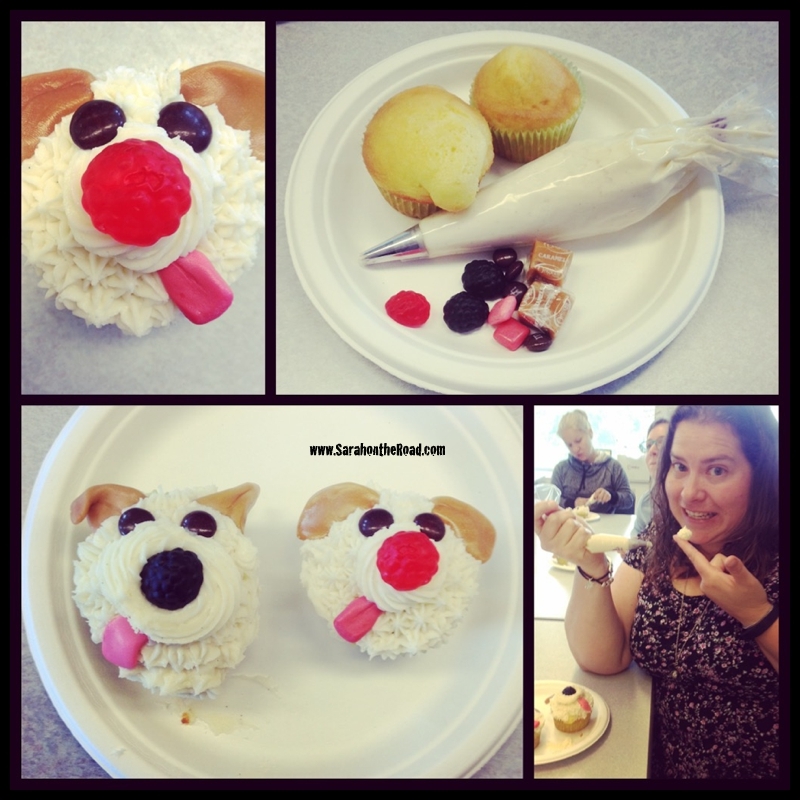 These little puppy cupcakes were definitely NOT pinterest fails.. and the icing was oh so freak’n great! 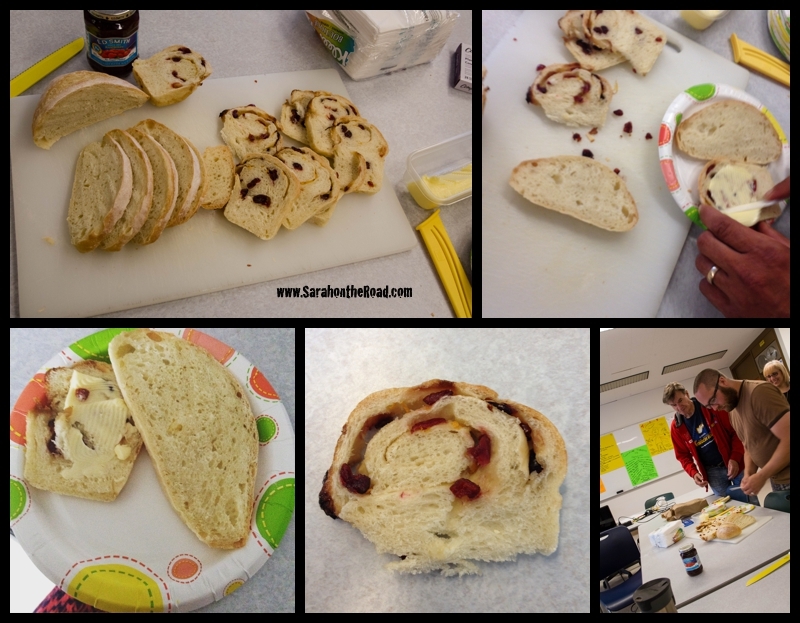 I presented on the new skill I learned, and shared some of the bread I had baked. (See more of this story in my blog about making Artisan Bread). 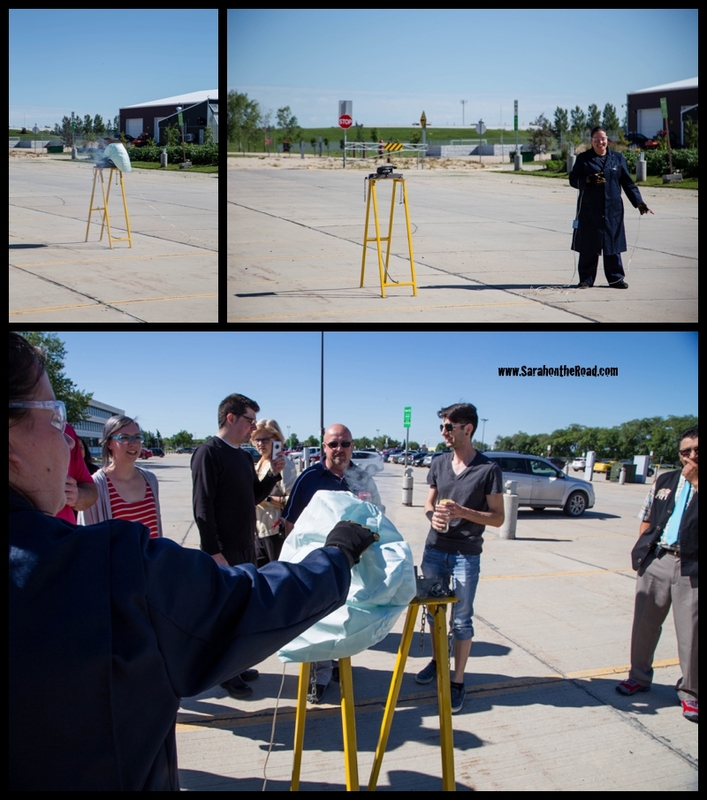 One of the fun demos we had was having an airbag deployed in the parking lot! It was pretty loud…and I must admit I jumped. Here’s my morning class of classmates from the past two weeks… Wish you all the best as you continue on your adventures in teaching and learning! 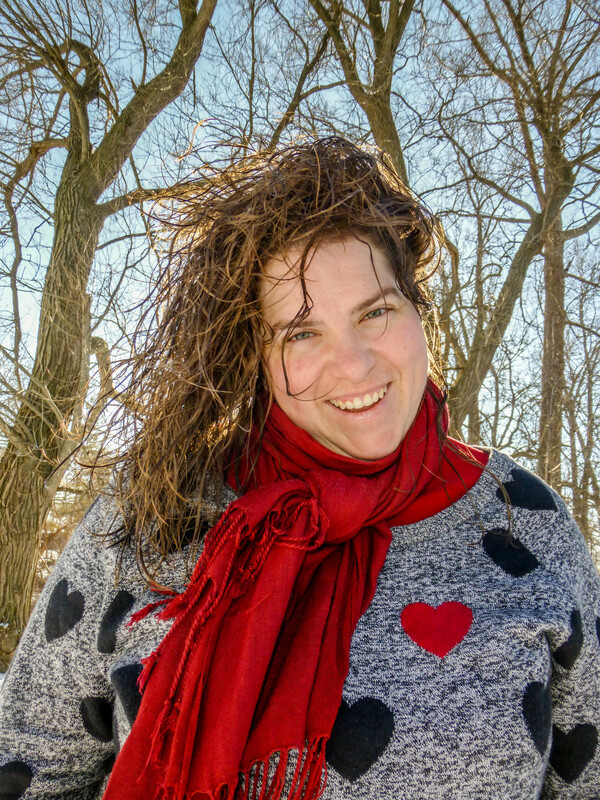 This entry was posted in Life in Manitoba, Tales from the Spin Cycle, Travel in Canada on July 15, 2016 by Sarah on the Road. 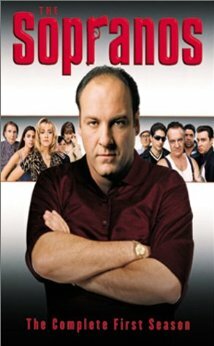 This weekend I decided finally take some time to watch the Sopranos. I never watched the show when it aired from 1999-2007. My friend Morena lent me her DVD copies of all the season…I’ve had it for almost 2 years. (I might be a bit of a procrastinator…and managed to watch a few other series (Walking Dead, Downton Abbey & Game of Thrones…to name a couple) before I started on the Sopranos. I think I knew when I started it I’d be hooked…and want to watch the WHOLE thing without stopping. Well over the weekend I managed to watch all 12 episodes from the first season. I must admit…I’m a fan. Now I need to find another blocks of time with nothing else to do in order to watch more. I don’t know about you…but it’s hard to stop at just one episode if I know I have the next one. Have you watched the Sopranos? If you have…please no spoilers! 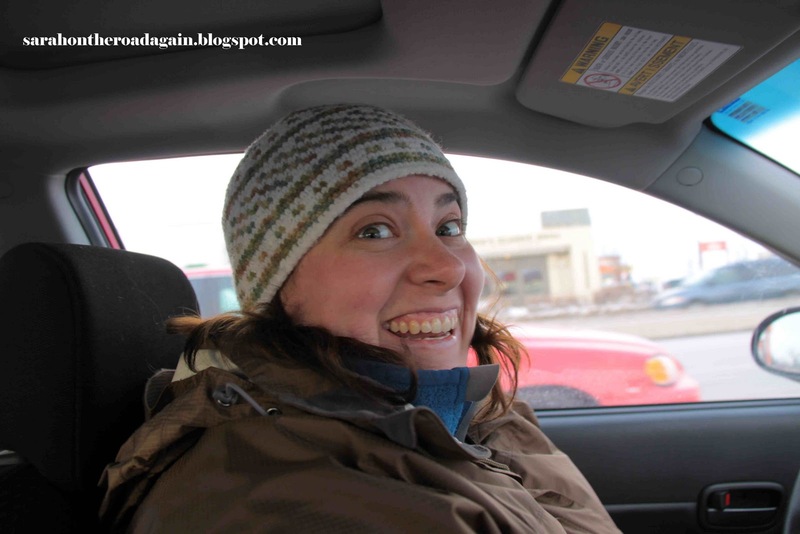 This entry was posted in Tales from the Spin Cycle, Whirl-Wind Weekends on January 13, 2014 by Sarah on the Road. 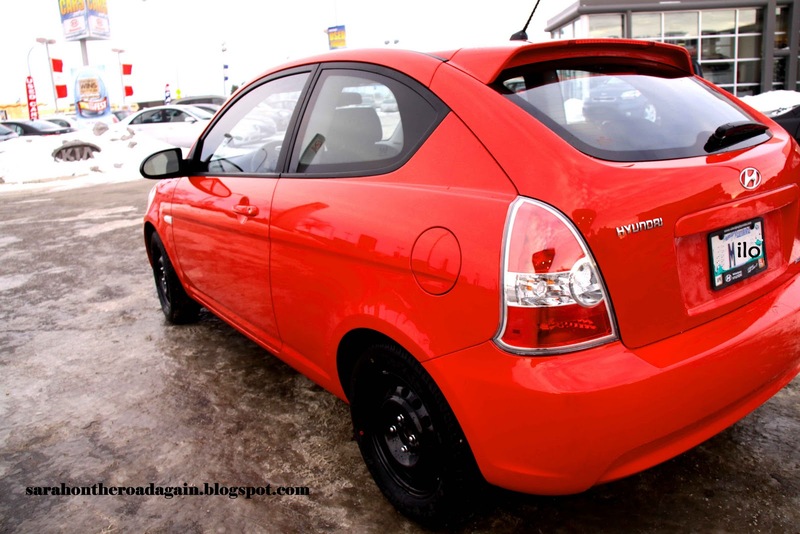 >Today I got a Birthday/Christmas present from my friend Ryan… he taught me how to use a car-wash… now before you all start think I’m a crazy girl or something… I’m not! 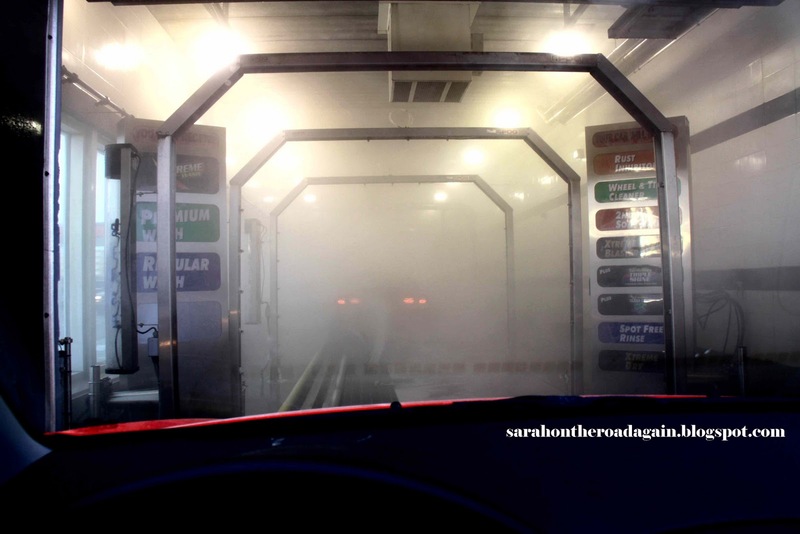 Remember back HERE when I told you about my fear of car washes? Then I had found THIS place… but I really wanted to conquer the fear, and learn to do it myself… and this is that story! 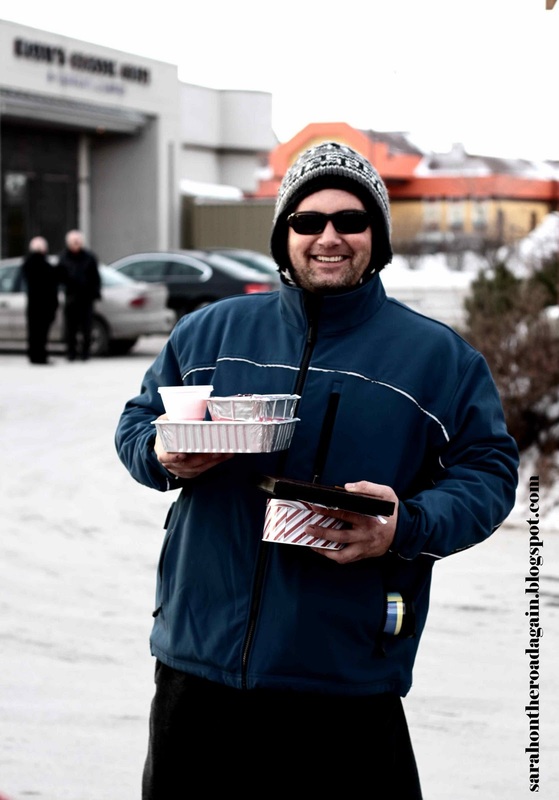 After lunch, with our left overs… Ryan is all smiles for this adventure! Here I am…excited, but crazy nervous…with that irrational but REAL to me fear that MILO will loose his windshield in a car wash! 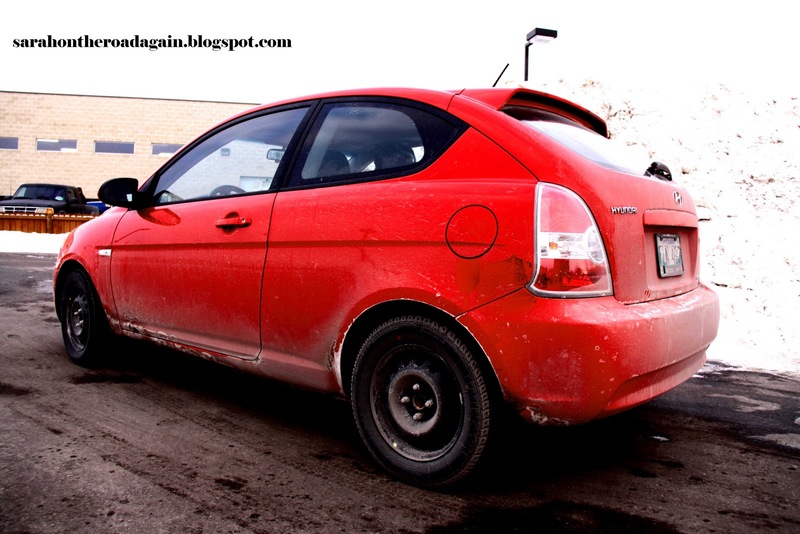 All that driving to Portage la Prairie, has made Milo really, REALLY dirty!!! At this point I was shaking.. and not really sure I could do it… but with Ryan laughing at me.. I managed to line up Milo’s wheels, and then figure out how to reach over and punch in my code–that was hard bc Milo is so ‘low’ to the ground… and it was so HIGH! 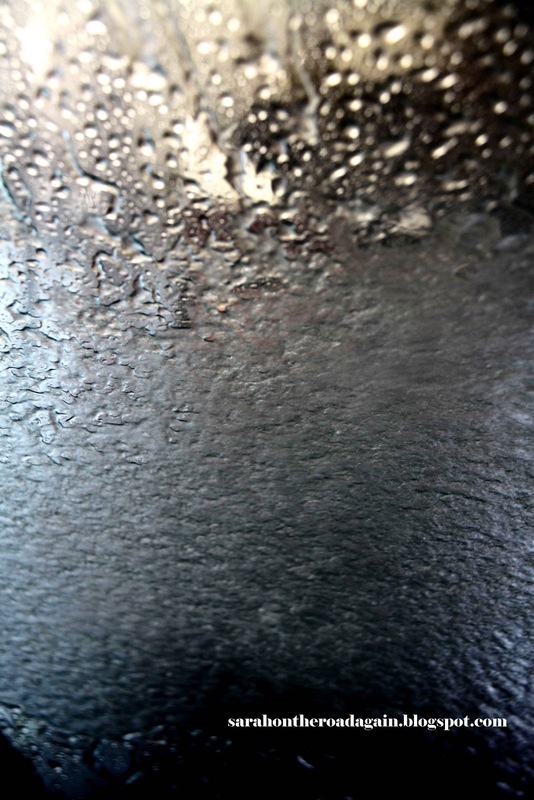 As the car was sprayed with water… I took some photos… and snapped this.. 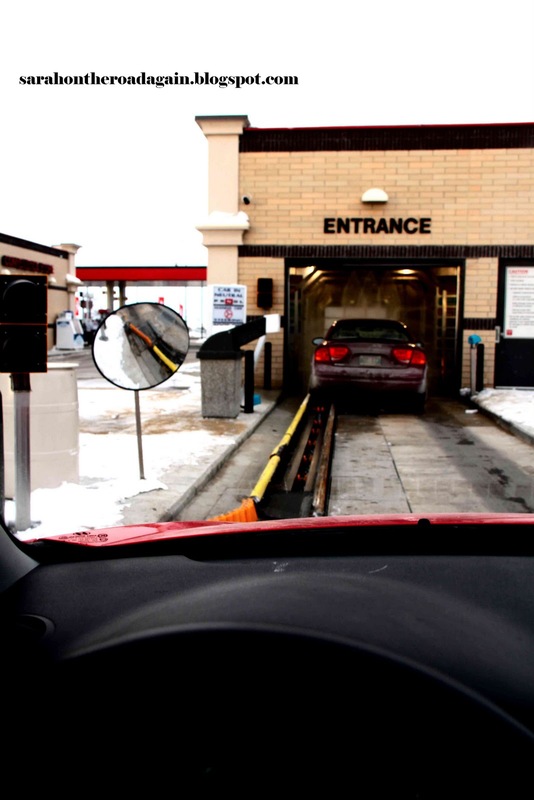 I think it distracted me enough… so I actually started to sort of ‘enjoy’ the car-wash! mmmm the smell and fun colours of the soap, wax and what-not! TADA!!! look at Milo.. he’s soooooo SHINY!!! Thanks, Ryan… I think I can possibly do this on my own now!! ..and wouldn’t you know it.. just after this…it started to snow, and the roads got all icky, slushy… so Milo isn’t so shinny, but at least I have the confidence to take him through on my own!! 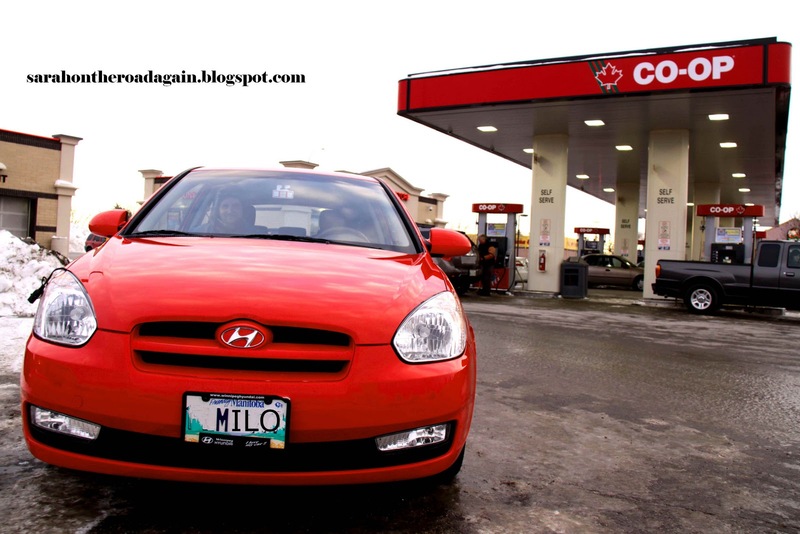 This entry was posted in Life in Manitoba, Tales from the Spin Cycle and tagged Milo on December 17, 2010 by Sarah on the Road.